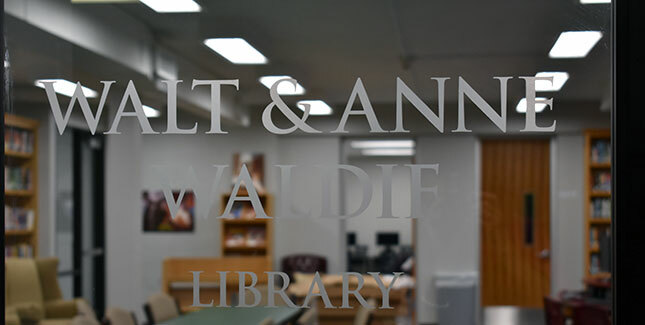 The Lower School Library and the newly-transformed Walt and Anne Waldie Library, are information centers for students and faculty that strive to meet both curricular and recreational resource needs. Both libraries embrace the philosophy that research is a process. An effective library program is an integral part of the total educational experience, teaching students the basic processing skills necessary to connect them with information and ideas in all subject and interest areas. Development of these skills involves the collaborative efforts of the librarian, classroom teachers, and students as active partners in the educational process, thus reinforcing the value of literacy and life-long learning. The mission of the library is to provide a facility and program that will empower the learner with the ability to access and process information and ideas, support the educational strategies of the school community, and enable students to appreciate and enjoy literature and other creative expressions of information.